This MCP Billet Caliper comes with everything you need to replace your old or existing brake caliper. This billet aluminum caliper is lightweight and provides optimum performance. 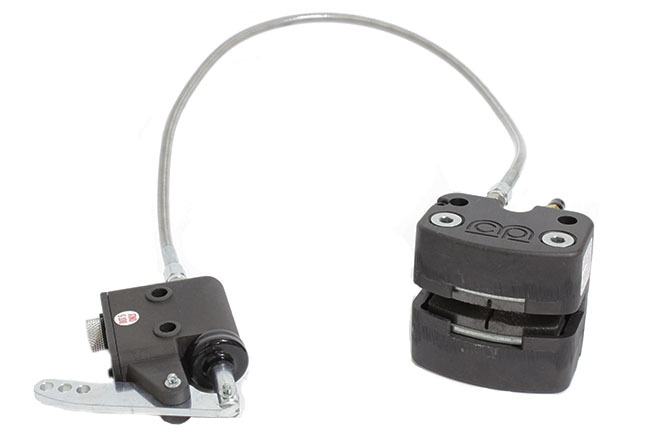 With the right master cylinder and brake line set, this easy to instal caliper should get you stopped in no time. This HI-PO billet master cylinder is designed to be used with the MCP Mini Lite brake caliper. It is a very lightweight piece that is top of the line for any rookie or cadet Margay chassis. This MCP MiniLite caliper is designed to be used with rookie/cadet Margay karts. Made from billet steel, this caliper is built to be both strong and lightweight. This piece is top of the line equipment for your rookie or cadet chassis.